Site 5, Granter. 7 ha. Steep hillside and gullies – ungrazed at present. Predominant species in gullies: Silver Wattle, Lightwood, Blackwood with occasional Yellow Box and Red Stringybark. 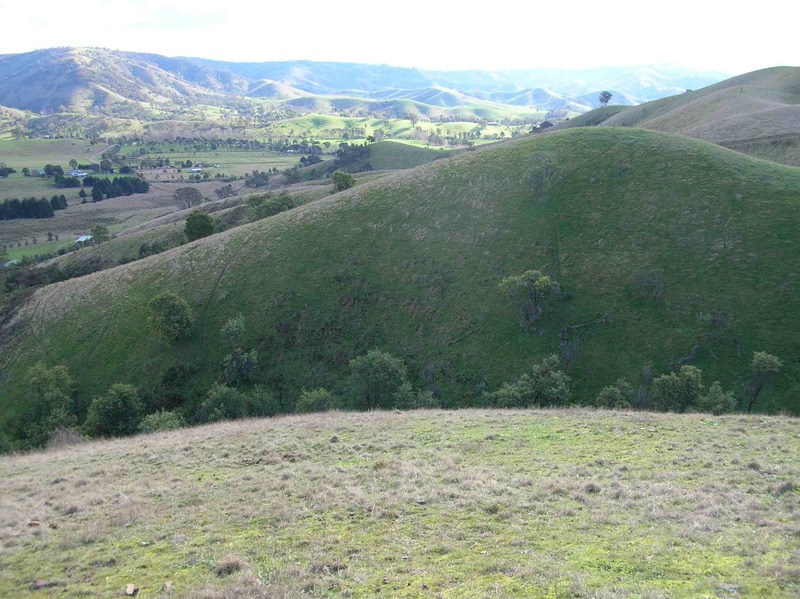 High native grass content on bare ridges and slopes. Some Patersons Curse needs control. Partly fenced – some needs repair. Importantly, this site is adjacent to a population of the Nationally Threatened Striped Legless Lizard (Delma impar). Surveys are underway to determine whether the species also occurs within the project site. 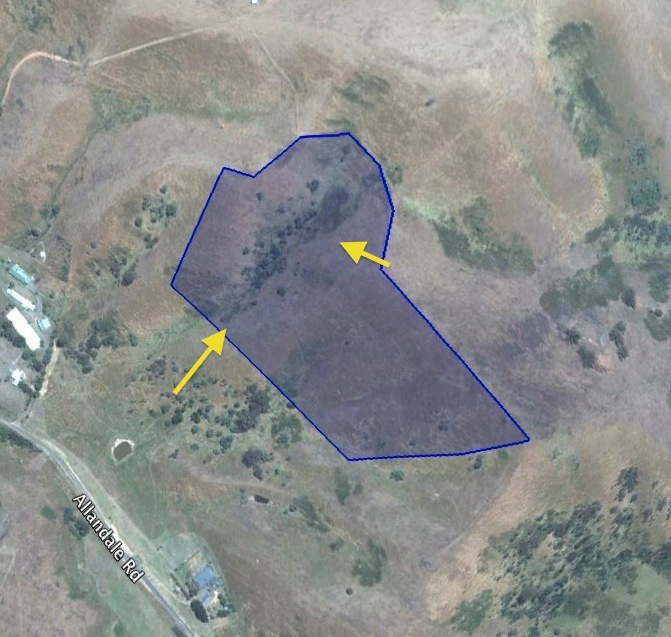 The boundaries of this site have altered since the beginning of the project, though the size of the site area remains the same. Two photo-points have been established at this site. PP1: 55H 343513.88 m E, 5872927.07 m S.
PP2: 55H 343191.76 m E, 5872789.46 m S.
Photo-point 1. Site 4. Jun-2012. Photo-point 2. Site 4. Jun-2012.